for even the smallest construction, addition or alteration, let alone extensive work such as building a house. If the Contractor is supplying the agreement you must make sure that you understand every detail of the contract before signing. Do not hesitate to delete clauses that are unacceptable to you and make sure to initial any alterations in the margins. Contract Law and building regulations varies in different states and countries and as such you must ensure that none of the conditions stipulated in this contractor agreement contravene any laws in your area. The construction contract supplied here is to be used as a sample document only and must be adjusted to suit your specific requirements, especially in the case of large projects. It is intended as an aid to assist the homeowner or contractor to do their preparation before consulting with legal counsel. You can find links to all the related information and more free legal forms for contracting on our main Contractor page. If you are looking for an independent contractor agreement in an employment situation, follow thislink for a free comprehensive agreement. The parties choose the above stated addresses as their physical addresses for purposes of delivery of any notice, payment of any amount and at which legal proceedings may be instituted. Each of the parties will be entitled at any time by way of written notice to the other to change the information regarding their physical addresses. and whereas the Contractor has agreed to execute the said Works on the Property in accordance with the drawings and specifications annexed to this Contractor Agreement and signed by the parties. 1. For the consideration hereinafter mentioned, the Contractor will execute and complete the Works in accordance with the terms and conditions and drawings and / or the specifications annexed hereto. 2. It is agreed that the drawings and specifications mentioned in this Contractor Agreement and annexed hereto are the final drawings and specifications of the Works and form an integral part of this Agreement. It is furthermore agreed that there shall be no additions or variations to the said drawings and / or specifications without the written consent of the other party first having been obtained. 2.1. The Contractor undertakes to obtain the necessary approval from the local authority or other statutory body concerned for the Works as described herein. The Contractor shall hold the Owner harmless for any violations and shall accordingly indemnify the Owner. 2.2. The Owner warrants that he is the registered owner of the Property. In the event of the property not being registered in the name of the Owner, then the Contractor shall be informed in writing by the Owner accordingly. 2.3. In the event of the Local Authority, Mortgager or other statutory body or the Owner, at any time or for any reason whether before, during or after the construction of the Works, requiring any alteration, variation or amendment to the drawings and / or specifications involving the Contractor in additional expense, then the cost of complying with such alteration, variation or amendment shall be borne and paid for by the Owner. 3.1.3. The remaining 10% on receipt of contract, labor and / or manufacturer's warranty. 3.2. Where the Contract Sum is to be paid on the Owner's behalf by a finance company, Building Society, Bank or other institution, the Owner shall be responsible for signing all necessary documentation to enable the Contractor to receive payment as per the schedule as set out in 3.1. 3.3. Any installment not paid on the due date shall bear interest thereon at a rate of 2% greater than the minimum lending rate charged by commercial banks to their clients which interest shall accrue as from the due date for payment. In addition, any discounts in terms of this Contractor Agreement will be forfeited. 4. Possession of the Property shall be given to the Contractor on _________________________ who shall complete the Works within ___________________weeks, calculated from the date of possession. In the event of the holiday period of the Building Industry falling within the completion period, then the completion date shall be extended by _______________ days. 4.1.3. required facilities such as electricity, water and toilet facilities are available on the Property, free of charge. 4.2. For purposes of this Contractor Agreement, except where expressly stated otherwise, the date of completion shall be the date on which the Works is completed and when the Property has been cleared of all rubble and building debris as generated during construction. 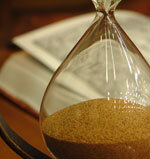 4.3.2. the Contractor shall be entitled to a fair and reasonable extension of time for the completion of the Works. provided that the Contractor is not in breach of his obligations in terms of this Contractor Agreement. 4.5. If the Contractor fails to complete the Works within the period stipulated in the preceding sub-clause or any extended period authorized in writing by the Owner, then the Contractor shall pay the Owner as liquidated and ascertained damages, the penalty amount of $___________ per day for the period during which the said Works shall so remain incomplete and the Owner may deduct such damages from any monies due to the Contractor. 5. Subject to the provisions of the following paragraph, the Contractor undertakes that: any patent defect or other faults which may appear within 24 months of completion of the Works due to materials or workmanship not in accordance with this Contract, shall within a reasonable time after receipt of the Owner's written instruction be made good by the Contractor and unless otherwise mutually agreed upon, at his own cost; provided that the Contractor shall not be required to make good at his own cost any damage after completion, unless it is agreed that such damage is due to injury which took place before completion. 5.1. 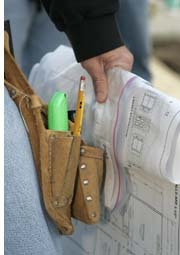 The Contractor shall only be responsible in terms of the preceding paragraph for damages sustained by the Owner under conditions of normal use and service and shall under no circumstances be responsible for damage or loss caused by wear and tear, misuse, neglect, negligence, abuse or accident or in respect of or arising from any risk insured against in terms of home owner's insurance policies normally issued by a reputable insurance company in respect of residential properties and the Contractor shall under no circumstances be liable for any consequential loss or damage. 5.2. The Contractor shall, however, not be liable under any circumstances whatever for any faults or defects caused by sub-surface water, settlement occurring in the ground below, normal shrinking or geological disturbances. 6. Any unfixed materials required for the Works and delivered to the Property under this Contractor Agreement shall remain the property of the Contractor until they have been paid for by the Owner in terms of clause 3 and any unfixed surplus materials remain the property of the Contractor. 7. The Contractor shall insure against Public Liability on or about the Works from the date of commencement mentioned in Clause 4 until the Works have been completed. 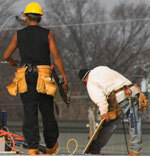 The Contractor expressly guarantees that Workman's Compensation is paid up and complied with. The Contractor shall insure against all risks to 100% of the insurable value of the Works. 7.1. The Contractor shall cause a performance bond to be issued in favor of the Owner to pay for losses or damages in the event of the Contractor's default. 8. The Owner shall not have the right, either personally or through his agent, to issue instructions to, or interfere, hinder or obstruct any of the Contractor's workmen, any sub-contractors employed on the Works or other persons employed by or acting on behalf of the Contractor. 8.1. Should the Contractor incur any expense or loss beyond that provided for in, or reasonably contemplated by this Contractor Agreement due to the actions on the part of the Owner as described in Clause 4.4 or Clause 8, then the value of such expense or loss shall be assessed between the Owner and the Contractor and such agreed value shall be paid to the Contractor on completion of the Works. 9. If the Owner does not pay the Contractor as provided for in Clause 3 or is in default in any other manner, the Contractor shall be entitled to forthwith cease work under this agreement until the Owner has made payment or until such default has been rectified. 9.1. The time during which such Works shall cease shall operate as an extension of the time for completion of the Works. 9.2. Should the default referred to in Clause 9 continue for a period exceeding 14 days, the Contractor shall be entitled to give the Owner 7 days written notice, by registered mail, of his intentions to terminate the Contractor Agreement. 9.3. In addition to suspending work in terms of this Clause, the Contractor may, after giving 7 days written notice, determine the Agreement, if the Owner's estate's provisionally sequestrated or provisionally wound up as insolvent, or should the Owner commit a breach of any of the terms of this Contractor Agreement, all of which terms shall be material, without prejudice to any other rights which the Contractor may have in terms of this Agreement or in law. 9.4. Should this Contractor Agreement be determined by the default of the Owner, then the Contractor shall be paid liquidated and ascertained pre-estimate of damages in the sum of 20% of the Contract Sum provided that the above provisions shall in no way preclude any other right or remedy that the Contractor may have in law. 9.5. A Certificate signed by the Contractor's Auditor specifying the amount due by the Owner to the Contractor shall be sufficient proof of any amount due to the Contractor in terms of this Agreement and may be used by the Contractor for the purposes of obtaining judgment whether by default or otherwise, summary judgment or provisional sentence against the Owner in any Court of Law having jurisdiction in respect thereof. 10.3. refuses after notice in writing from the Owner, to remove defective work or improper materials, then, if such default shall continue for 14 days after a registered letter from the Owner specifying the same, the Owner may, without prejudice to any other rights he may have in terms of this Contractor Agreement or in law, by registered post, determine the employment of the Contractor under this Agreement, provided no dispute has been declared in terms of Clause 14. In such event the Contractor shall be liable for all damages incurred by the Owner by reason of such default. 10.4. If the Contractor's estate is sequestrated as insolvent or if, being a company, it is placed under voluntary or compulsory liquidation, the Owner may, without prejudice to any other rights contained herein, by written and registered notice determine the employment of the Contractor under this Agreement. 11. In the event of any of the materials set out in the Specification hereto being in short supply or unavailable for an unreasonable amount of time, then the Owner shall select substitute material of a similar quality from amongst like material readily procurable by the Contractor. Any difference in price shall be for the account of the Owner. 12. All variations, authorized or required by the Owner, shall be carried out and the Contract Sum adjusted, the valuation being assessed on the basis of the valuation of similar work included in this Contractor Agreement. Any variation to the Contracted Sum must be in writing and signed by both parties. 13. The parties hereby expressly consent to the jurisdiction of the Local Court even though such claim may otherwise exceed that Court's jurisdiction to adjudicate on any dispute arising out of this Contractor Agreement which is not otherwise subject to arbitration in terms hereof. This is subject to the provision that if a party elects to institute action in a higher Court, he / she shall be entitled to do so. 14. Any dispute or difference between the Contractor and the Owner arising out of and during the currency of the Agreement or upon termination or cancellation thereof, shall be referred to arbitration. The arbitrator shall be appointed at the request of either party by the relevant Association having jurisdiction in the area. 15. The Contractor is not an employee of the Owner but is working in his/her capacity as an independent contractor. The Contractor shall hold Owner harmless and thereby indemnify Owner for any claims including but not limited to liability insurance, worker's compensation and withholding of tax for Contractor's employees. 16. The Contractor will provide receipt of payments, lien releases and final lien releases from all subcontractors and suppliers immediately when they become due. 17. Either party shall have the right to cancel this Contractor Agreement within 3 (three) days of signing it without incurring any penalties whatsoever. Cancellation must be in writing and delivered to the stated address of the other party. 18.1. This agreement and any exhibit attached constitute the sole and entire contractor agreement between the parties with regard to the subject matter hereof and the parties waive the right to rely on any alleged express provision not contained herein. 18.2.3. Signed by both parties. 18.3. No relaxation by a party of any of its rights in terms of this agreement at any time shall prejudice or be a waiver of its rights (unless it is a written waiver) and it shall be entitled to exercise its rights hereafter as if such relaxation had not taken place. 18.4. No party may cede any of its rights or delegate or assign any of its obligations in terms of this contractor agreement without the prior written consent of the other parties. This Contractor Agreement is set out to be fair to both parties and both parties should have a copy thereof. An agreement for Contract Extension is available if the initial deadline can not be met. Your general contractor agreement can help to ensure that building, remodeling or renovating your home or business does not turn into a nightmare.